Gentle daily face wash from D.R. Harris’ ‘Naturals’ range. 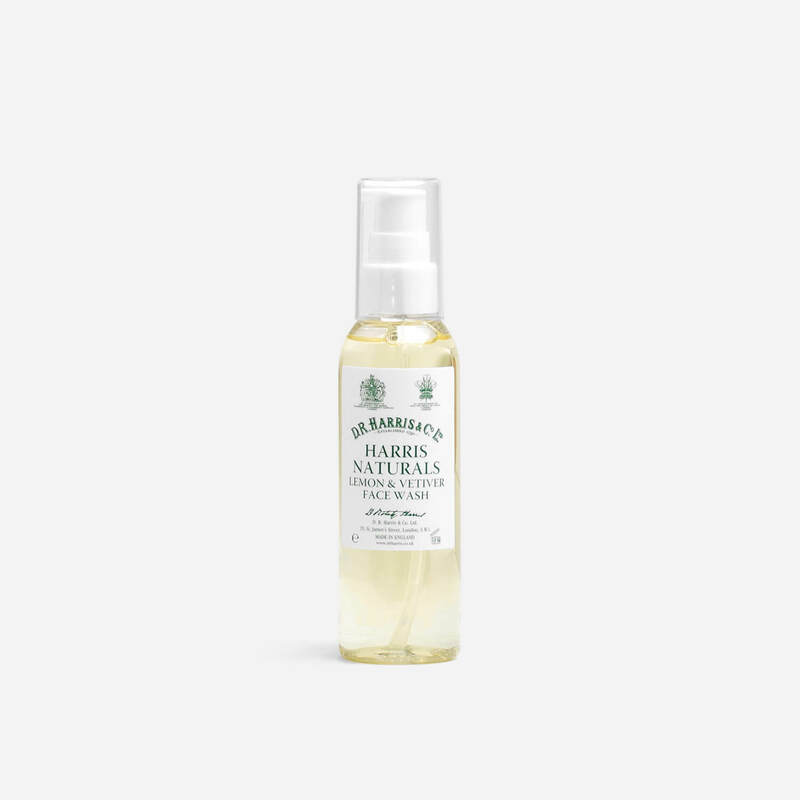 Entirely natural face wash that gently cleanses the pores leaving the skin with the light scent of lemon and vetiver. 100ml bottle with pump dispenser. Aqua (Water), Decyl Glucoside, Disodium Cocoamphodiacetate, Glycerin, Cocamidopropyl Hydroxysultaine, Cocamidopropyl Betaine, PEG-150 Distearate, Aloe Barbadensis Leaf Juice, PEG-7 Glyceryl Cocoate, Parfum, Citric Acid, Limonene, Linalool, Citral, Benzyl Alcohol, Magnesium Chloride, Magnesium Nitrate, Potassium Sorbate, Sodium Benzoate, Methylchloroisothiazolinone, Methylisothiazolinone.